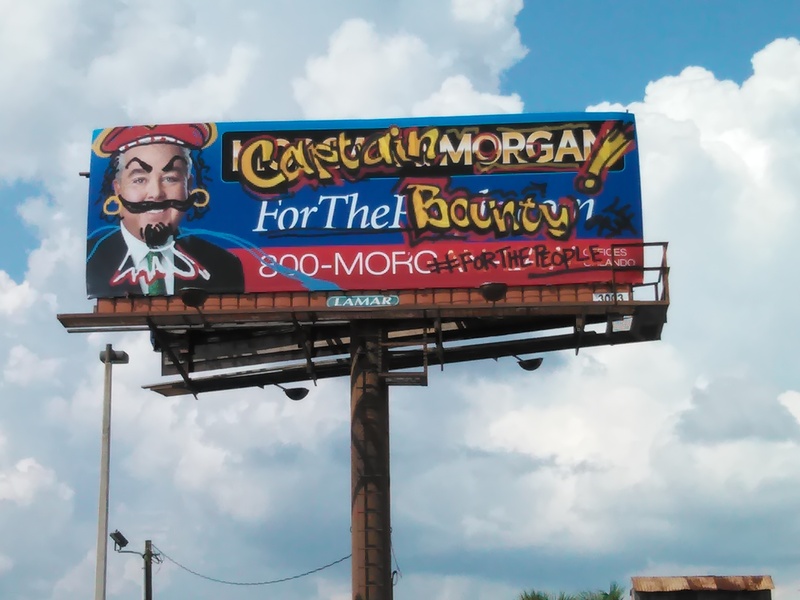 Attorney John Morgan of Morgan& Morgan with several locations throughout Florida (and beyond) has finally rid his billboards of that photo of him with so much white makeup on his face that he looks like a corpse. He’s also updated his wardrobe and changed his slogan. It’s all so very refreshing. It appears he fancies himself as Captain Morgan and has changed his law firm’s name as such. What has become of Morgan’s other half, Mrs. Morgan, remains a mystery, although scuttlebutt has it she’s been forced to walk the plank and swim with the other sharks. Of course, with all this change, comes a new slogan “For the Bounty”. An anonymous source informed me that Captain Morgan’s Spiced Rum is filing suit against Attorney Morgan for trademark infringement, so he best enjoy playing pirate dress-up while he can and save those corpse-like photos of himself for when he returns to being a landlubber.